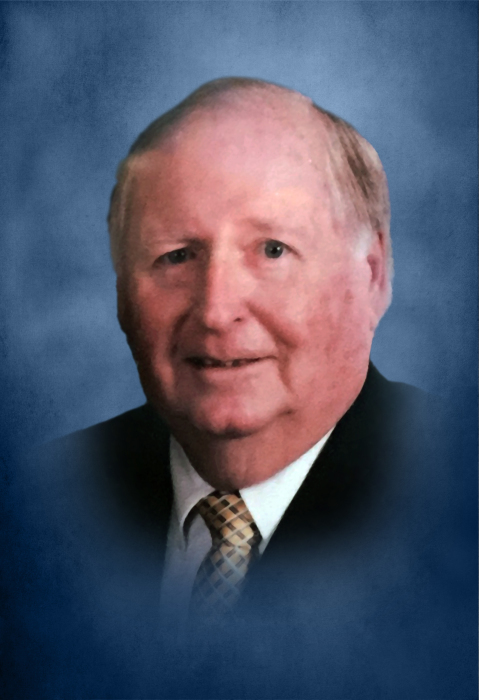 James Pat Pendley, 81, of Calhoun died at his home on Monday, February 11, 2019, surrounded by his loving family. Pat was born in Gordon County on February 9, 1938; he was the son of the late James Floyd and Aileen Dillard Pendley. Along with parents, he was preceded in death by his wife, Margie Galloway Pendley, in 1998. Pat was a member of Calhoun First Baptist Church. He was a graduate of Red Bud High School, class of 1957. He was associated with Trend Mills and Carolina Freight. Until it was combined with CTI, Pat owned and operated A and P Transportation. He retired as co-owner of JJ Grizzly Sporting Goods. Pat was a lover of sports, especially baseball. He coached several women’s softball teams. Pat was a beloved husband, father, brother, and Papa to his family. His grandchildren were the passion of Pat’s life. Survivors include his wife, Phyllis Ann Elrod Pendley; his daughters, Patty Pendley Leatherwood and her husband, Greg, and Larriann Dixon and her husband, Larry; his grandchildren, Chase (Nicole) Leatherwood, Chasity (Shaun) Sutherland, Brittany (Eric) Worley, and Brooke Dixon; his great-grandchildren, Lola Mitchell, Penelope Leatherwood, Moxi Sutherland, Anna Worley, and Beck Worley; his sisters, Carolyn Pendley Holbert and her husband, Cicero, and Rita Pendley Harwell and her husband, Harry; a brother-in-law, Danny Elrod and his wife Tammy; nieces, nephews and other relatives. The Pendley family will receive friends at Max Brannon and Sons Funeral Home on Wednesday, February 13, 2019 from 5:00 until 8:00 p.m. The funeral service will be conducted on Thursday, February 14, 2019 at 11:00 from Calhoun First Baptist Church. Mr. Pendley’s body will lie in state at the church from 10:00 until 11:00 at the church on Thursday. Dr. John Barber and Dr. Brent Davis will officiate. Graveside services will follow at Chandler Cemetery with Rev. Shane Parrott officiating. Pallbearers are Chase Leatherwood, Eric Worley, Shaun Sutherland, Mott Hyde, Ryan Harwell, Jeff Harwell, Todd Holbert and Richie Wright. Honorary pallbearers are Olan “Moon Eyes” Holmes, Jimmy Dillard, Steve Dillard, Danny Elrod, and Tommy Fuller.